Thanks to Robbie Swinnerton for pointing out that the famous ramen shop Zundou from Hakodate in Hokkaido is at Shibuya’s Tokyu Food Show (until this Thursday) on his blog. 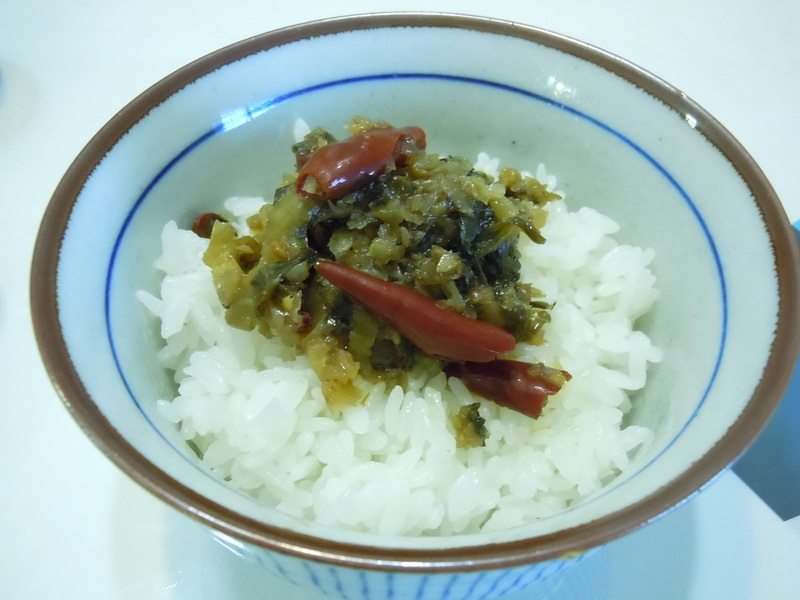 Zundou sells a great bottled spicy takana with red chili peppers that we love over rice. If you are in Shibuya, stop by Tokyu Food Show (it’s in the basement of Shibuya station so not far to go). Zundou is there until this Thursday the 22nd. Yukari — Once again a great suggestion! I made my way to the Food Show at the Tokyu Department Store and sat down at the Hakodate pop up restaurant for a bowl of Shio Ramen and a bowl of rice bejeweled with glistening ikura. 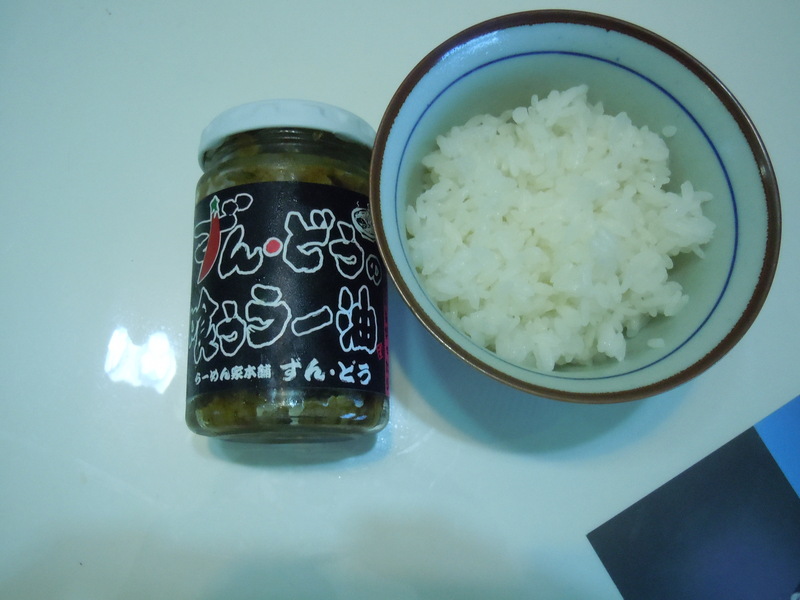 I also bought 2 jars of the fiery condiment with rayu. My husband loved it! Keep those suggestions coming! Please check out Robbie Swinnerton’s blog too. He put it on my radar. Yes, the takana rayu is sooooo yummy.